This is a beautiful time of year. It is Confirmation season and I have the joy to be celebrating this sacrament with young people in parishes throughout the archdiocese. 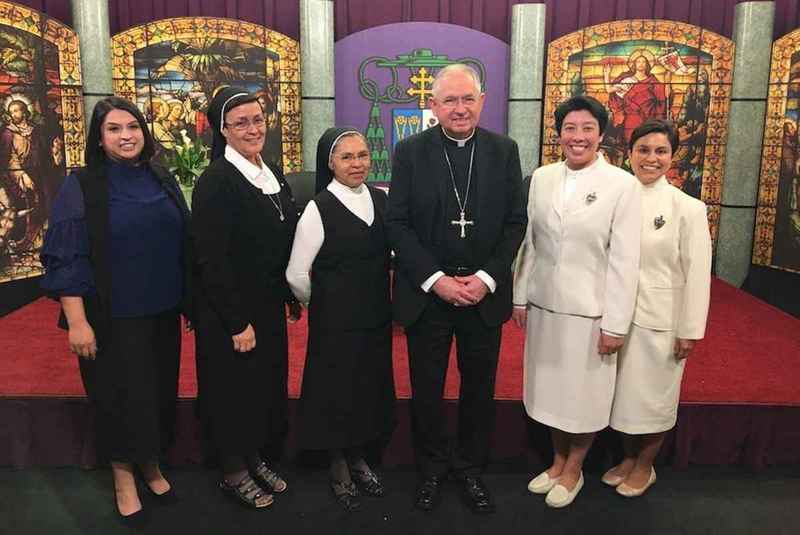 In my monthly television and radio show, “Dialogo de Fe,” I had the opportunity to speak with three religious sisters about their lives and their vocations. One of them, Sister Micaela Ramirez, of the Society Devoted to the Sacred Heart, said that growing up in Huntington Beach, she had plans to be a wife and a mother of a big family and to teach biology and maybe write songs and ride a motorcycle. It is a beautiful testimony, and I have been thinking a lot about how our lives are a response to the call of God. This is true for everyone — whether we are aware of it or not. This is one of the mysteries of creation. God wants us to be here. We would not exist if God did not call us into existence. So, every life is a calling, a vocation. Your life and my life are a response to the calling of God that we hear. This Sunday, April 22, the fourth Sunday of Easter, is known as Good Shepherd Sunday because in the Gospel reading for this Sunday we reflect on Jesus’ description of himself and his mission. For the past 55 years, the Church has used this Sunday to pray that more will hear his voice and follow him in becoming priests, deacons and religious and consecrated men and women. Jesus calls to every heart. The challenge is to be able to hear this call. The world can be a noisy place and our lives are filled with responsibilities and anxieties that can keep us from hearing his voice. What that means is that God invites each of us to respond to his call in our own unique way. Your life belongs to Jesus and so does mine. But because our lives are different, the way we are called to follow Christ will be different, too. There are many paths, many callings. But the call of Jesus is always a call to share in his mission. He is sending all of us out into the world. Most of us, he sends to serve him in the worlds of work and family, the worlds of culture and civic duty. But some are chosen by Jesus for a special calling, to follow him in one of the many forms of religious and consecrated life in the Church. So, we have to listen for the voice of Christ and we have to respond to his call with all our hearts and all our strength. And each one of us in the Church has a responsibility to “create the space” where our young people can listen for Christ’s voice, too. This is one of the most important missions in the Church right now. Already, we have many fine young men in our seminary and many more discerning a vocation to the priesthood. I encourage all of you to visit and share our two vocations websites — LAVocations.org for men and CalledLA.org for women. Together, we need to build a culture of vocations! So, pray for me this week and I will be praying for you. And let us ask our Blessed Mother Mary to help us to build a culture of vocations — so that many more young men and women can feel the love of God and answer his call in their lives.